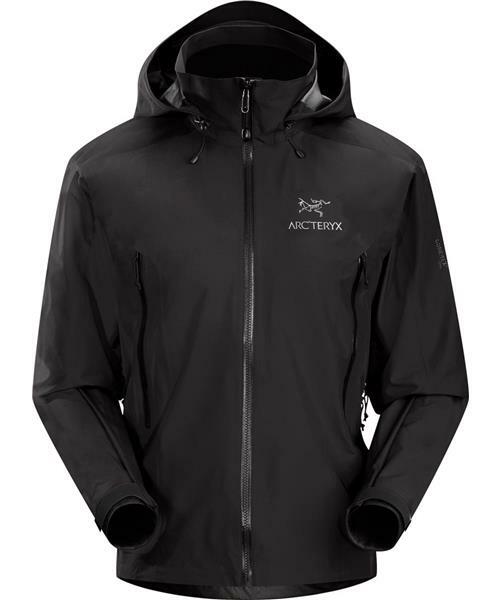 A mainstay in the Arc'teryx lineup since 2000, the Beta AR is the do everything, most versatile waterproof/breathable jacket for mountain environments. Hand pockets, athletic fit that accommodates layers and a hood with an internal collar mean comfort in storms, climbing, skiing or simply enjoying the outdoors. Hip length is the easiest to work with when layering waterproof/breathable garments. Not too short so it doesn't ride up or expose the lower back and not so long as to be cumbersome underneath a harness or a pack belt, the Beta AR hits the middle ground. A good hood is a crucial detail on any serious alpine jacket. The Beta AR features the Arc'teryx DropHood™, a helmet-compatible, fast adjust hood with a separate collar for draft protection. The Beta AR is a solid, well-rounded piece. Durable, lightweight, with hand pockets and pit zippers for ventilation, it can manage storms, rock, snow and cool seasons. GORE-TEX® Pro delivers the highest level of waterproof/breathable performance.